Persol sunglasses are all time favorite by millions of people because Persol is one of the oldest fashion eyewear brands. Classic designs in round, aviator and rectangular shapes with a signature plaque in the frame top corners make Persol sunglasses recognizable from far away. Many top brands tried to imitate Persol sunglasses, but no one quite could because Persol has a patented technology for production of their spring hinges. Persol sunglasses are also made in Italy from highest quality materials at the same factory they have been made 50 years ago. All time classic, Persol sunglasses make an excellent gift for a spouse, father or a son. 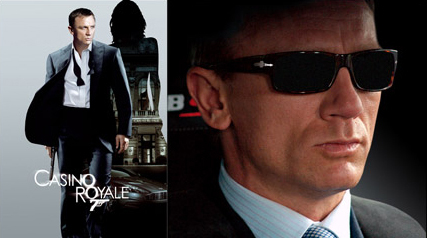 Buy authentic Persol sunglasses at Eyeinform website with complete manufacturer packaging. Shop for complete collections of Persol sunglasses online for fast shipping and easy returns. Buy Persol PO3110S sunglasses online at a friendly price. Originally made in 2015, Persol PO3110S are lightweight plastic frames. Each pair of authentic Persol sunglasses ships worldwide with authenticity certificate, Persol box, case and a cleaning cloth. Buy Persol PO3108S sunglasses online at a friendly price. Originally made in 2015, Persol PO3108S are lightweight plastic frames. Each pair of authentic Persol sunglasses ships worldwide with authenticity certificate, Persol box, case and a cleaning cloth. Buy Persol PO3105S sunglasses online at a friendly price. Originally made in 2015, Persol PO3105S are lightweight metal frames. Each pair of authentic Persol sunglasses ships worldwide with authenticity certificate, Persol box, case and a cleaning cloth. Buy Persol PO3092SM sunglasses online at a friendly price. Originally made in 2015, Persol PO3092SM are lightweight plastic frames. Each pair of authentic Persol sunglasses ships worldwide with authenticity certificate, Persol box, case and a cleaning cloth. Buy Persol PO3059S sunglasses online at a friendly price. Originally made in 2015, Persol PO3059S are lightweight plastic frames. Each pair of authentic Persol sunglasses ships worldwide with authenticity certificate, Persol box, case and a cleaning cloth. Buy Persol PO3048S sunglasses online at a friendly price. Originally made in 2015, Persol PO3048S are lightweight plastic frames. Each pair of authentic Persol sunglasses ships worldwide with authenticity certificate, Persol box, case and a cleaning cloth. Buy Persol PO3007S sunglasses online at a friendly price. Originally made in 2015, Persol PO3007S are lightweight plastic frames. Each pair of authentic Persol sunglasses ships worldwide with authenticity certificate, Persol box, case and a cleaning cloth. Buy Persol PO0009 sunglasses online at a friendly price. Originally made in 2015, Persol PO0009 are lightweight plastic frames. Each pair of authentic Persol sunglasses ships worldwide with authenticity certificate, Persol box, case and a cleaning cloth. Buy Persol PO3019S sunglasses online at a friendly price. Originally made in 2015, Persol PO3019S are lightweight plastic frames. Each pair of authentic Persol sunglasses ships worldwide with authenticity certificate, Persol box, case and a cleaning cloth. Buy Persol PO2747S sunglasses online at a friendly price. Originally made in 2015, Persol PO2747S are lightweight plastic frames. Each pair of authentic Persol sunglasses ships worldwide with authenticity certificate, Persol box, case and a cleaning cloth. Buy Persol PO0714 sunglasses online at a friendly price. Originally made in 2015, Persol PO0714 are lightweight plastic frames. Each pair of authentic Persol sunglasses ships worldwide with authenticity certificate, Persol box, case and a cleaning cloth. Buy Persol PO0649 sunglasses online at a friendly price. Originally made in 2015, Persol PO0649 are lightweight plastic frames. Each pair of authentic Persol sunglasses ships worldwide with authenticity certificate, Persol box, case and a cleaning cloth.